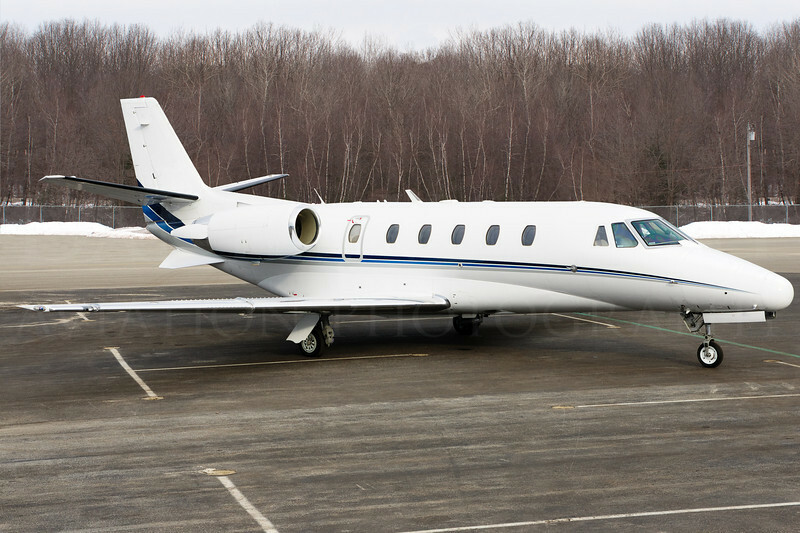 Many private and business aircraft are often leased or fractionally owned. 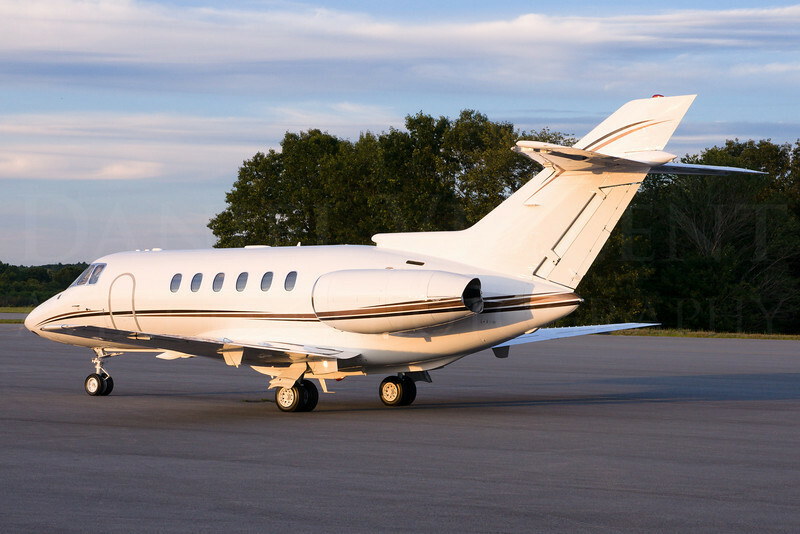 During their downtimes for primary customers they are often used in a charter or air taxi role. 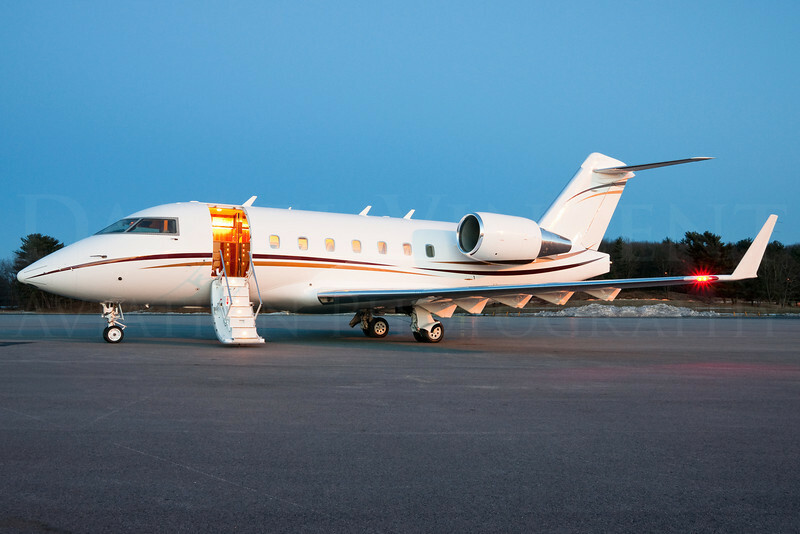 These private aircraft customers want to know the specific jet they're getting, and having high quality interior and exterior photographs are essential to communicating what you have to offer. Having someone take quick snapshots with a pocket camera will not do a multimillion dollar aircraft justice. 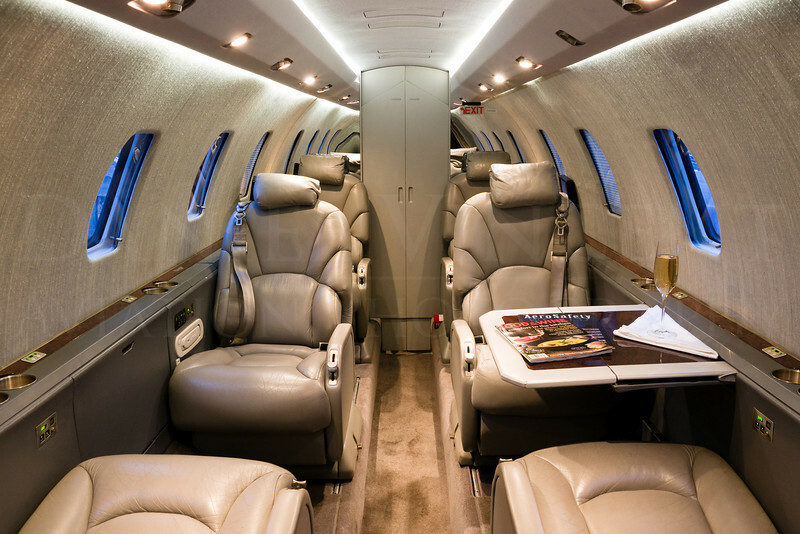 Commissioning a professional with the expertise and equipment to make your jet or prop look its best will pay for itself many times over with new and renewed business. 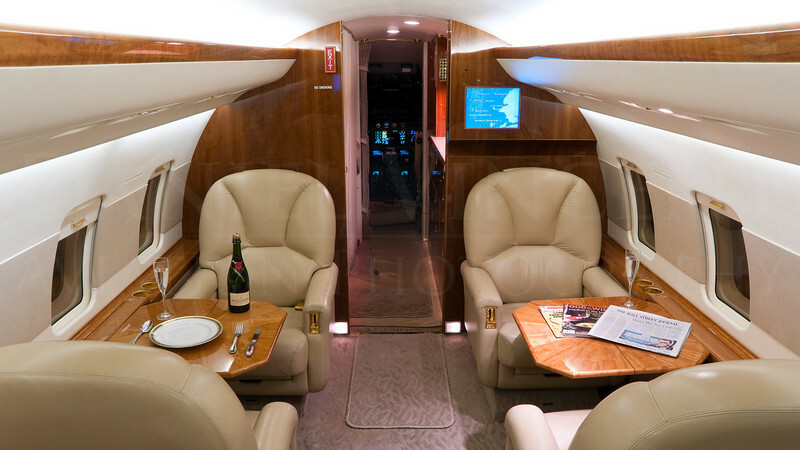 Regardless of the size and trim of your aircraft, I aim to make it appealing and inviting, inside and out. I am within traveling distance of many of the Northeast's premiere general aviation airports - Logan International in Boston, MA, Hanscom Field in Bedford, MA, Manchester, NH, Providence, RI, Bradley International in Windsor Locks, CT, Barnes Municipal in Westfield, MA, Portland, ME, and New Haven, CT. 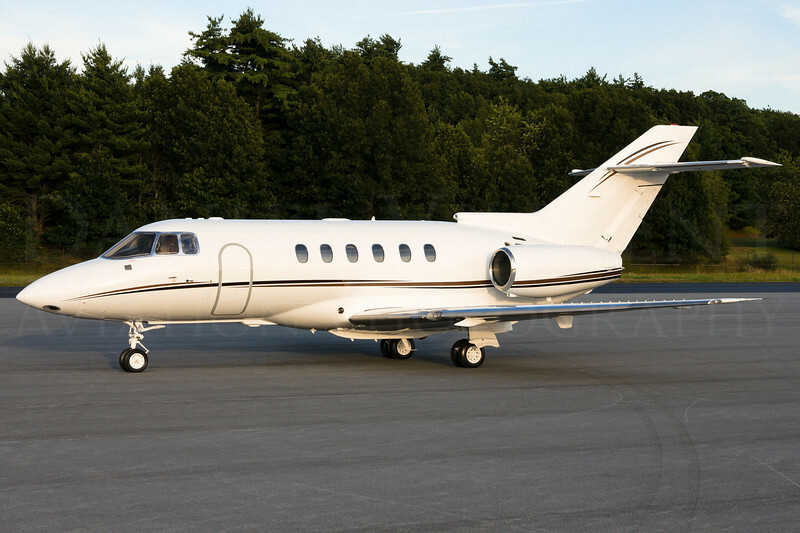 I coordinate with pilots and owners to choose a day and time to maximize lighting and availability of the aircraft. 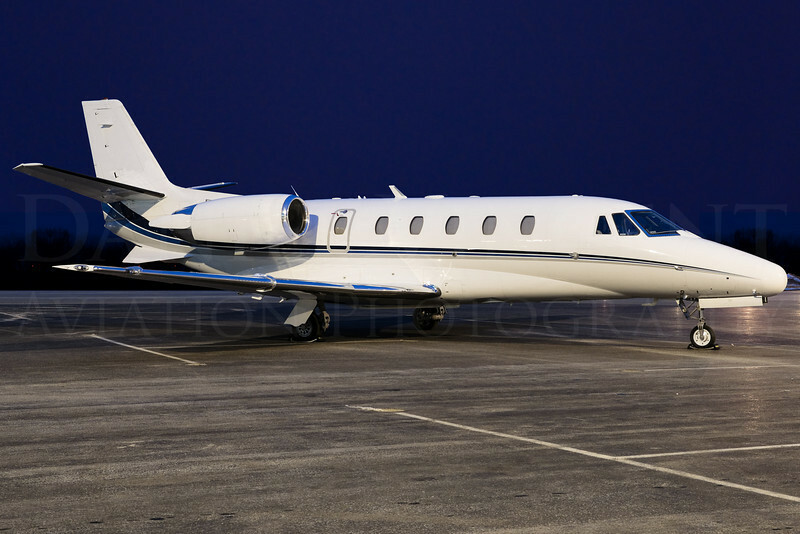 If you are a general aviation pilot with your own small private craft such as a Cessna Skyhawk or Piper Arrow, I can also do exterior shots of high quality for your sale or rental of the aircraft - or if you just want to get a big print for your own pleasure. If you are interested in producing high quality imagery of your aircraft, please contact me to discuss times, dates, and rates. 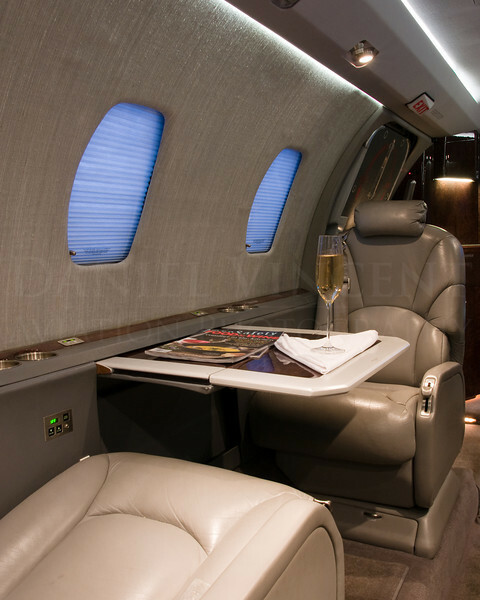 For other non-commissioned business jet photos, please look at the Business Aircraft gallery which is automatically updated with any new photographs. I am also available for air-to-air photographs of your airplane or air-to-ground photos of your airport, buildings, or land. If you are an existing commission customer, please check out the Pro Shoots category for your custom galleries. 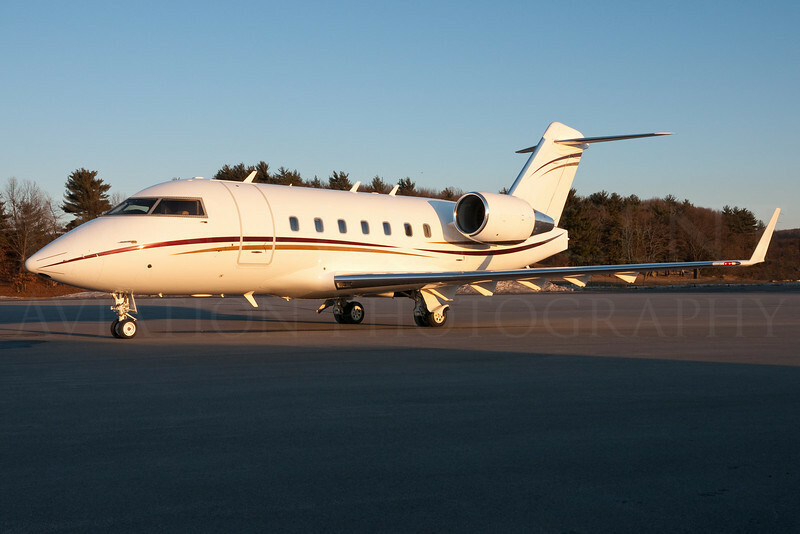 This Hawker is based at Hanscom Field near Boston. It previously had no high quality photographs. I came in to provide them with high quality overviews of the aircraft and its paintscheme, which is a special reflective copper paint. Most customers often look for more traditional angles, but all angles are covered as lighting allows, such as side-ons, rear 3/4, front 3/4, and front head-on shots. These angles are provided in addition to the usual glamour shots. This Citation is photographed at night underneath sodium vapor lights and specially balanced to reveal proper color. Night photos can give a vastly different look than daytime or evening photos, and can reveal a different side of a jet. The interior of the Hawker. Most customers need, at a minimum, two interior shots consisting of a "forward" shot towards the cockpit and a rearward shot towards the galley or lavatory. 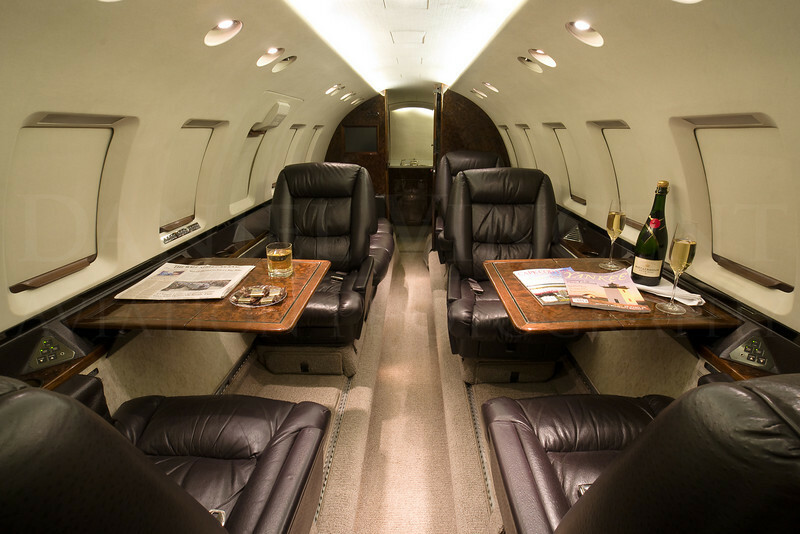 This way the viewer can really get a feel for the complete interior of the aircraft. Although the screens are currently off in this photo, it is possible to post-process and introduce company logos or other still images on to in-flight entertainment screens. The interior of the Hawker. Most interior shots consist of a "forward" shot towards the cockpit and a rearward shot towards the galley or lavatory. This way the viewer can really get a feel for the complete interior of the aircraft and whether it would be a fit for their needs. For these shots, utilizing ultrawide angle lenses gives the cabin a big, roomy, inviting look. 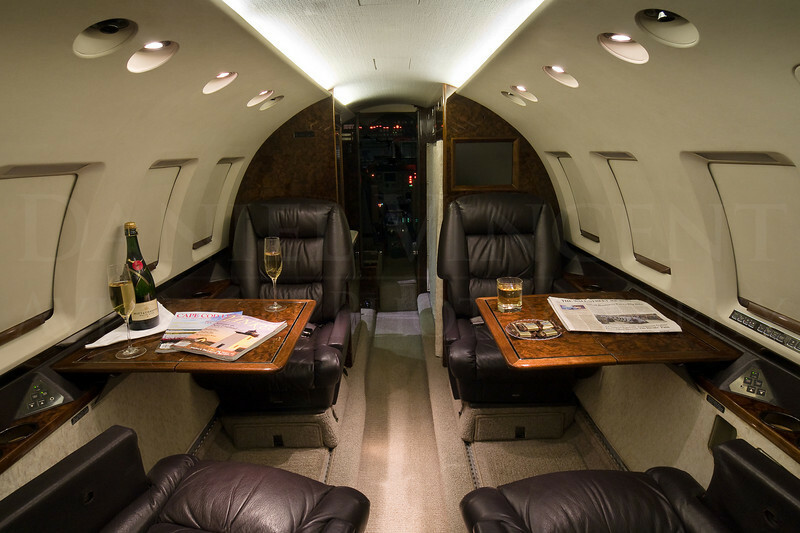 Interior of a Citation. Having only one table out provides an asymmetrical look that enhances what is on the other table. Sometimes having all of the tables out can create a claustrophobic look inside of the smaller cabins, and we aim to make the cabin look as spacious as possible. Frames with tables on right, left, and both sides deployed are taken and the customer chooses which one they prefer. This particular shot was taken using a fisheye lens. Sometimes fisheyes can give a more interesting effect, especially in the smaller cabins. Depending on the particular cabin it can be used with great effect. 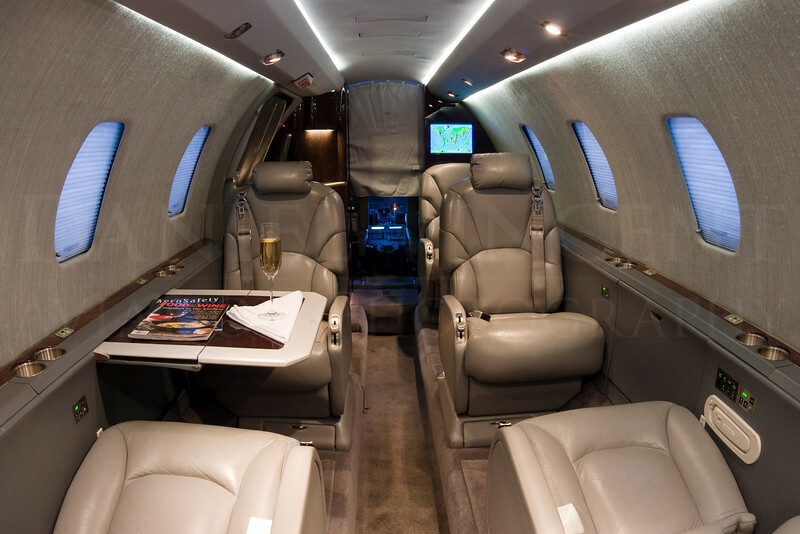 Lighting is also important in cabin interiors, and utilizing the plane's own lighting system allows for great control in revealing the natural ambience of business aircraft. Although the standard angles are always provided, some special shots are also included in case nontraditional looks are required. Creative opportunities are utilized whenever they present themselves. 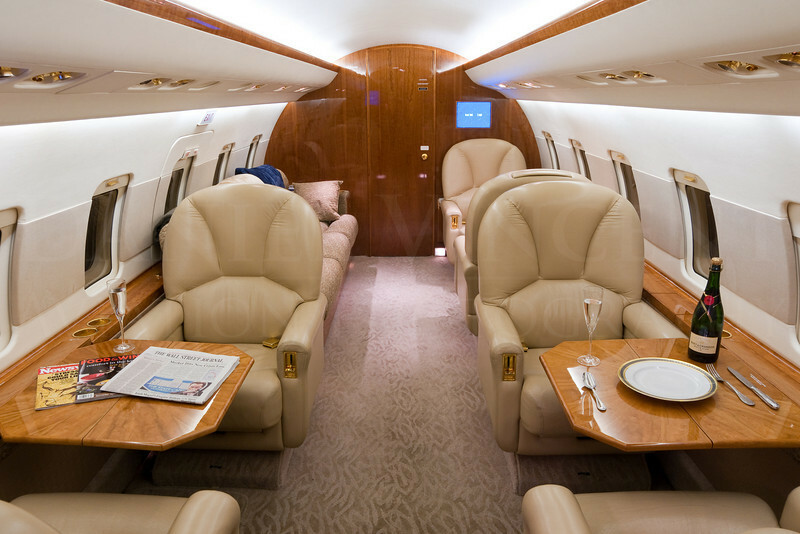 The results are used not only for advertising the particular jet but enhancing your charter's website or printed material.